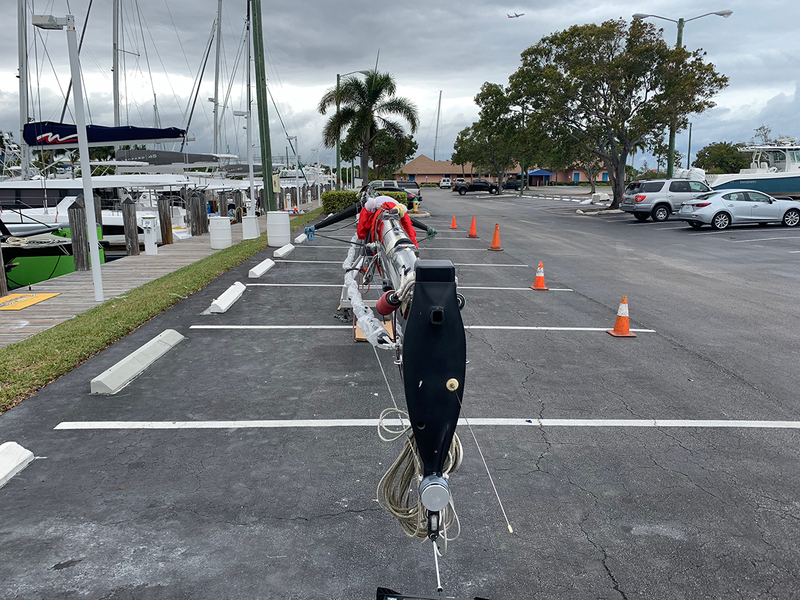 Gunboat 66 Catamaran EXTREME H2O mast was just re-installed with the help of Just Catamarans service team at Harbour Towne Marina in Fort Lauderdale, FL. 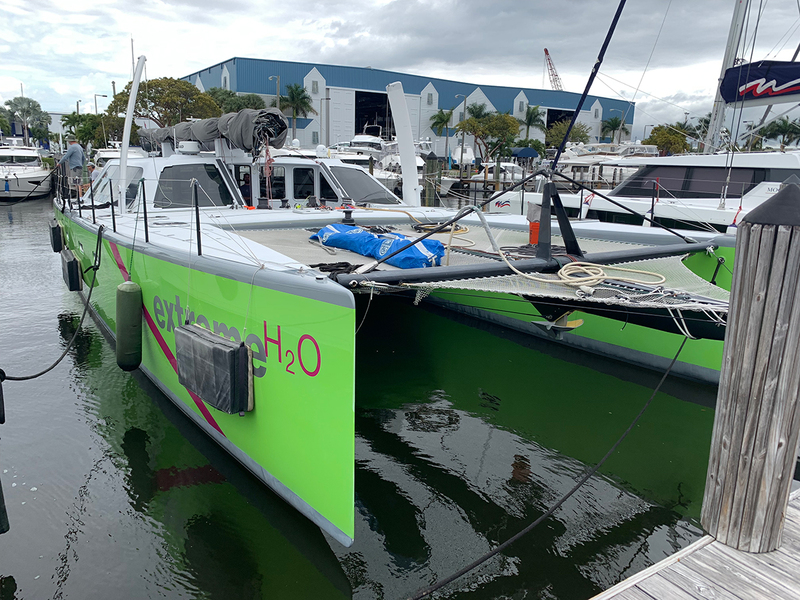 EXTREME H2O, a Gunboat 66 Catamaran was moved from her normal dock with Just Catamarans to the face dock in order to have the necessary space to re-install the mast. 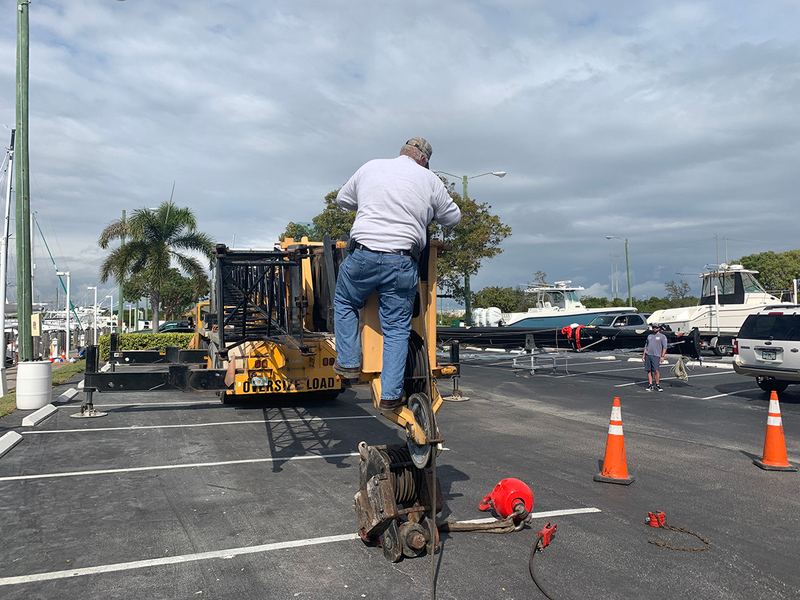 The mast was brought to the parking lot adjacent to the dock where EXTREME H2O was moved to and the team prepared the vessel for installation. 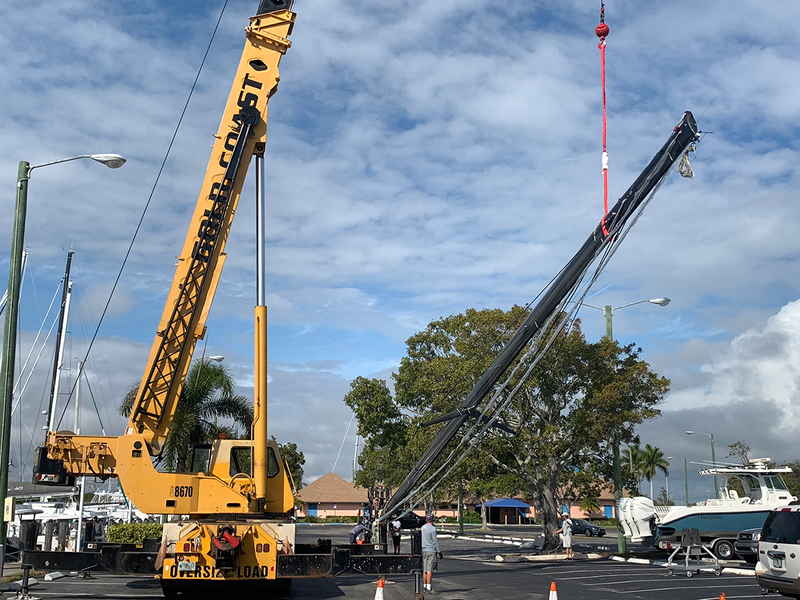 The crane arrived and was set-up to restore back to the Gunboat Catamaran. 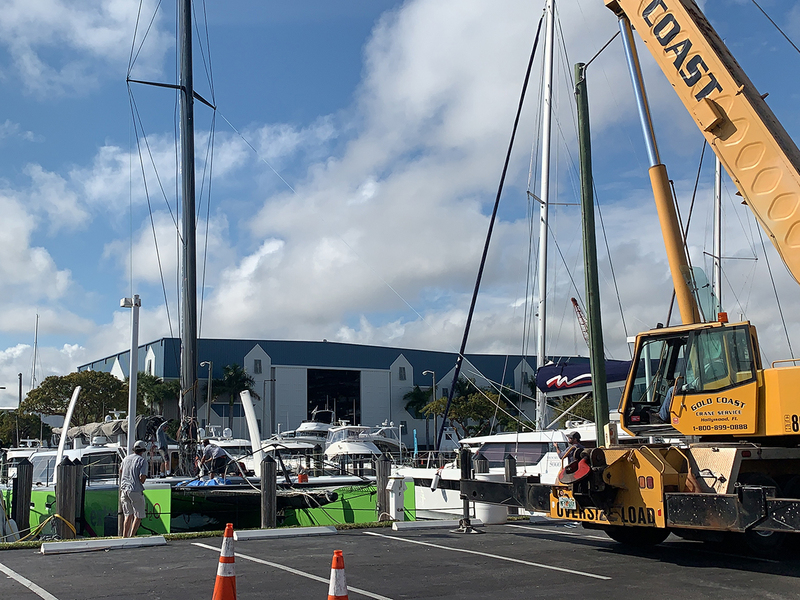 Once the crane was ready, a forklift was brought in to assist the crane with moving the carbon mast close enough to dock to light her back to the Gunboat Catamaran. At last! The mast was restored back to EXTREME H2O. Many thanks to the entire team who made this happen. Contact the Just Catamarans Service team to help with all your Catamaran needs.